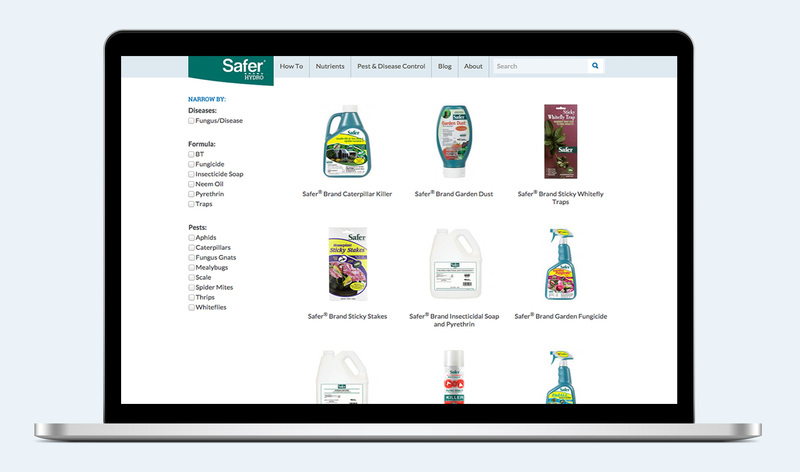 Product grid page with pre-scrolling navigation bar. 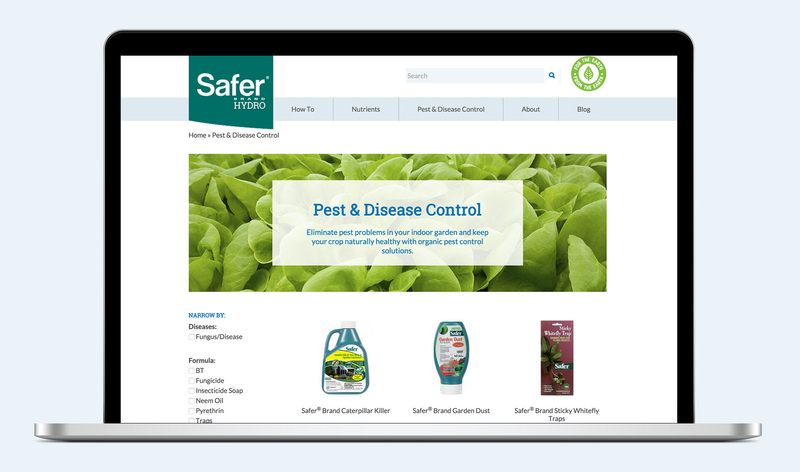 A minimized navigation replaces the full navigation as the page scrolls down. 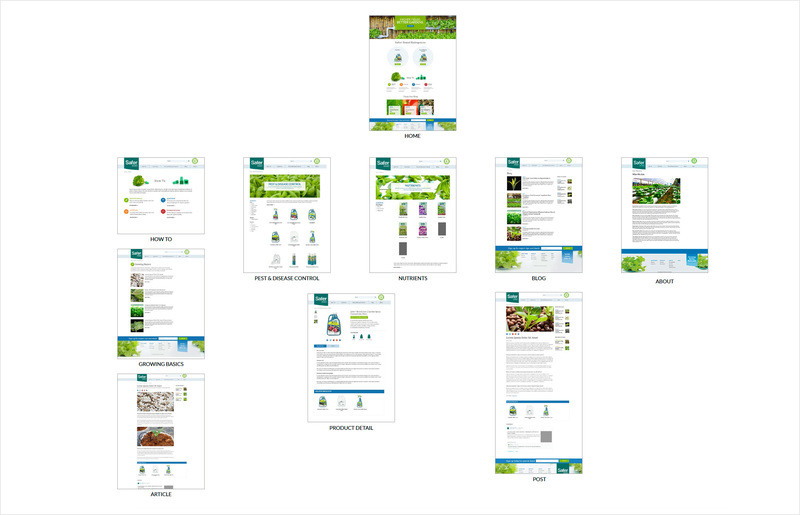 UX and UI design for a responsive e-commerce website featuring organic products for agricultural, horticultural, and home garden use.